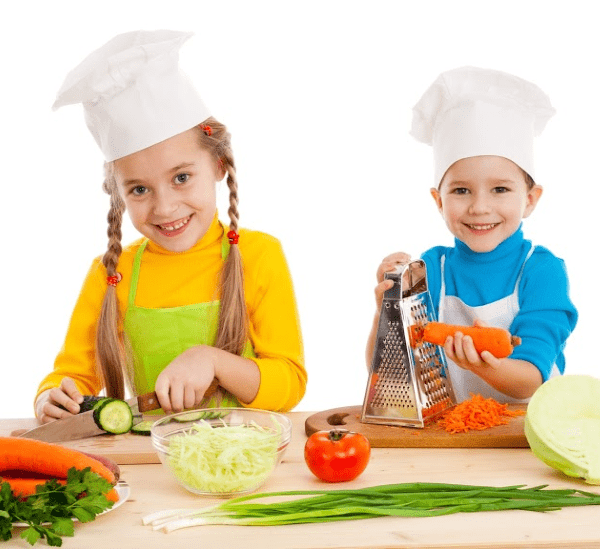 Did you know that every child has the ability to learn basic cooking skills? Cookings skills can vary by age, but also depend on how frequently your child has visited the kitchen (and not to just get a snack or two!) to try to help with any of the cooking processes. If you’re wondering what cooking skills children should know by age, you’ve come to the right spot! 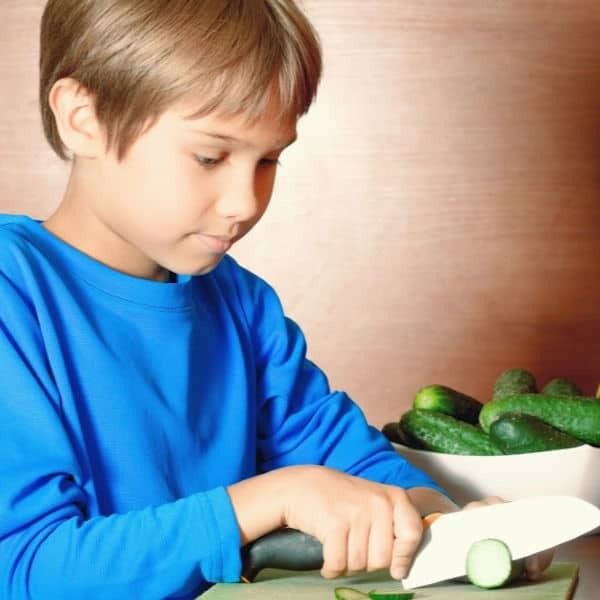 Here are varying cooking skills broken down by age on what your child should know. If they don’t know these skills, it’s an easy process to focus on them and teach through making meals and snacks together. 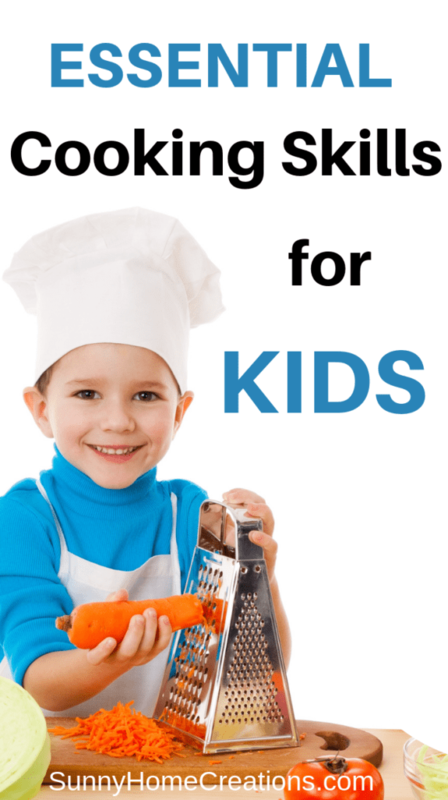 At age 5, your child is probably showing an interest in helping in the kitchen. If they’re like other outgoing and active 5-year-olds, they may think that they can be doing more than you’re letting them do currently in the food prep category at home. Don’t worry, your child just wants to help and be active! 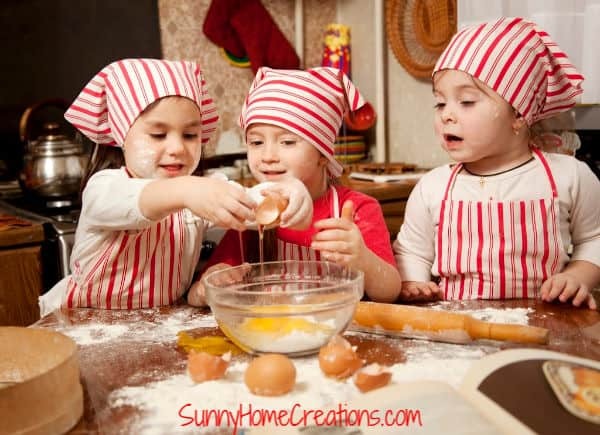 Luckily, there are cooking skills that they should know by this age that can be a big help to you in the kitchen! They are more than capable of being able to help wash and clean off the fruits and veggies prior to being cooked. Get them their own special scrubber so they can clean them extra well! Let your mini-cooker start to learn the basics of cutting with a knife by giving them a butter knife and letting them cut softer foods like butter, bananas or even strawberries. That way, they aren’t going to cut themselves and can start to learn and respect knife safety as well. Who doesn’t like to be the mixer? Everyone, no matter the age, really enjoys mixing everything together and MAYBE even getting to have a little taste test after. Let your little one be the mixer and use it as an opportunity to show them how it’s possible to mix without being messy. I don’t know what it is about flour, but it’s fun to dip that measuring cup in and scoop out mounds and mounds of fluffy white flour. If you think it’s fun, you know your 5-year-old is going to love it! Teach them how to scoop, how to measure properly and how to level off the top to get as precise amounts as possible. Once your 5-year-old has mastered those kitchen skills, let them start helping out in the kitchen more often. Think about all the times that you’re baking and cooking…there are tons of different jobs that they can be assisting with throughout that entire time! If you can take the time to slow down and let them help, they’ll learn valuable cooking skills that will come in handy later on in their life. As your child approaches age 10, there are other cooking skills that they need to be acquiring around this age. Sometimes, recipes just seem like a bunch of following written directions, right? And most times, it is. This is where your 10-year-old can help! At this age, they should be able to read, understand and follow the recipe directions from start to finish. This not only teaches them the importance of following directions, but also the importance of understanding measurements and cooking times as well. Your child should always be supervised when cooking over a hot surface…let me repeat that. Your child should always be supervised when cooking over a hot surface! Once they reach the young age of 10, your child may feel as though they should be able to use the stove or microwave on their own to make or reheat their food. As long as you are okay with it, and you are going to monitor it, it’s possible to teach your child about being safe around very hot appliances. Your child should never be left unattended at any point in time no matter what job they are doing to items on the stove. If you were to step back and let your child create and come up with their own recipe, would they? I know for a fact that most children would in a heartbeat! And why not? Having a child at this age be able to think up and create a recipe that they think others would love is an amazing cooking skill to have and share. Have them write out their recipe and the steps and ingredients so they can share with others who may enjoy the taste and outcome. Let your child know that creating a recipe is a great asset in the cooking world and being able to write it down to refer to later is key! One thing to keep in mind when it comes to cooking skills by age is that every child learns and processes differently. If your child can do these cooking skills already, awesome! If not, no worries. That just means that you have time to work with them on these skills and learn together even more in the kitchen than you already have! No matter what, you are teaching your child kitchen safety and kitchen cooking skills that they will use and treasure for a lifetime!